I have found these guys brilliant, if possible, they will fix without replacing parts. They are happy to fit my supplied parts and I have never had an issue with their diagnosis of problems. Would recommend to all. Excellent job by all the team at Just Mechanics in Crawley. They have looked after me and my car for years!! We can collect your car from any location and bring it to our West Sussex garage for analysis and repair or take the vehicle to any destination you request. Our recovery vehicle can carry up to 6 passengers. 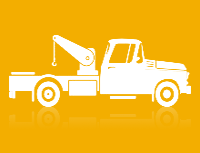 We can bring you back with your recovered vehicle. Our Crawley breakdown recovery prices are based on time and distance, so please call us to get an exact quotation. In the meantime if you need a hire car, we can supply you one from our large range of cars.